There are a number of rebate programs available for improving the energy efficiency of new homes in BC, and each program is different. Visit the residential new construction incentives search tool to find programs that you may be eligible for. Some rebates are provided by your energy utilities, some by local, regional, or provincial government, some from lending institutions, and more. Some programs are for specific energy efficient products, some are for have an energy evaluation, and some reward the overall energy performance of the home. Take the time to thoroughly read about the rebates and incentives you are interested in, as the terms and conditions, and application processes vary from program to program. 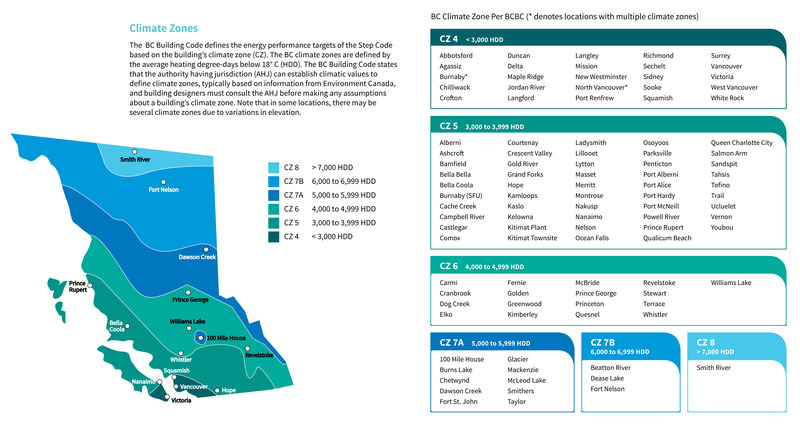 To identify which climate zone your home is in, reference the city listing or map of BC’s climate zones below. If you are not able to determine your zone please email efficiencyBC@gov.bc.ca for additional support.